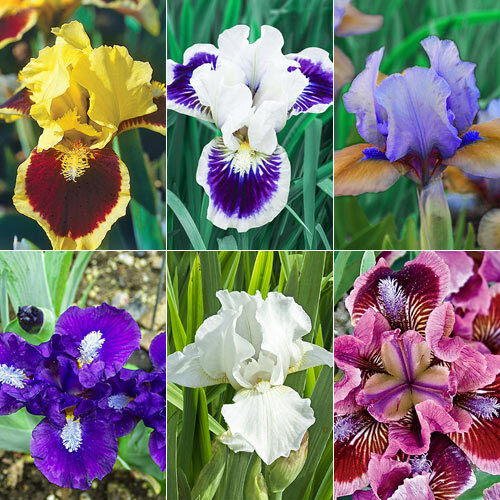 Breeders started developing dwarf bearded irises in the1930s. By the 1950s, interest in them had soared. Today, these star performers are still a favourite among gardeners because of their early blooms, hardiness and carefree nature. Simply plant these pretty, petite perennials and then watch them flower and thrive for years to come! 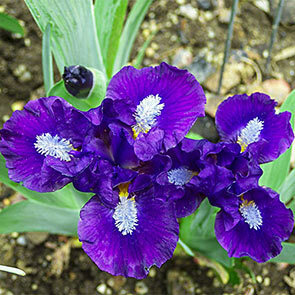 For iris lovers who tend to get a little antsy waiting for flowering season, we heartily recommend dwarf bearded irises. Imagine looking out over your early spring landscape and seeing it abloom with drifts of lovely irises. 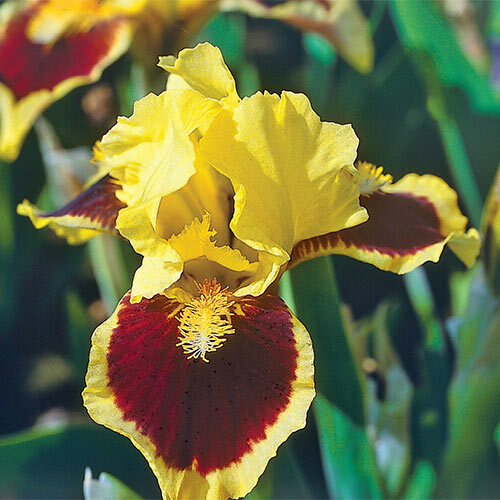 Breck's® proudly offers a brand new collection of these plucky little beauties that bloom at the first sign of warm spring weather, before their taller cousins. 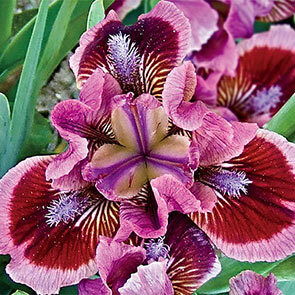 Their fan-shaped flowers, while smaller, are completely formed in miniature with standards, beards and falls. Because dwarf bearded irises are vigourous, long-lived perennials, their carpets of colour expand yearly to create generous displays in gardens and rockeries—even beneath trees. 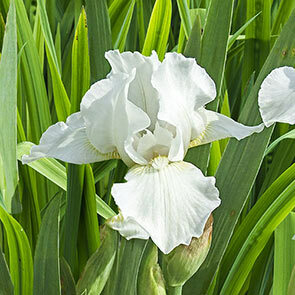 Plant them in sun or partial shade. 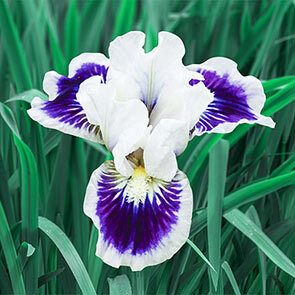 Their smaller size makes them a great choice for brightening up borders, pots and planters. 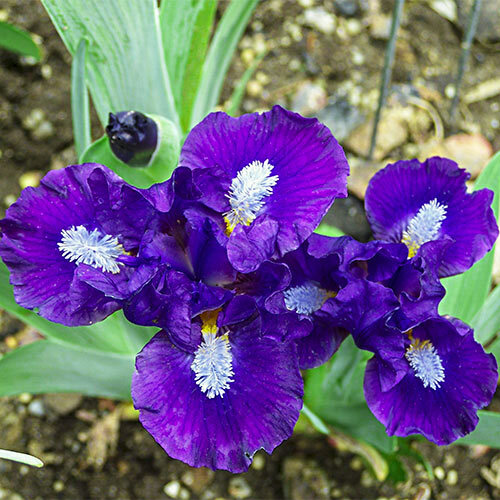 Easy to grow in zones 4-9, dwarf bearded irises are deer resistant and often fragrant. Some even rebloom later in the season. What they lack in size, they more than make up for in looks and personality! Ultimate: Medium yellow standards contrast beautifully with mahogany falls, which sport a few golden rays on the haft. This multiple award winner exudes a slight spicy fragrance. Grows 13" tall. Riveting: Gorgeous, ruffled flowers are white with large, dark blue-purple spots on the falls. Light yellow beards are tipped white. 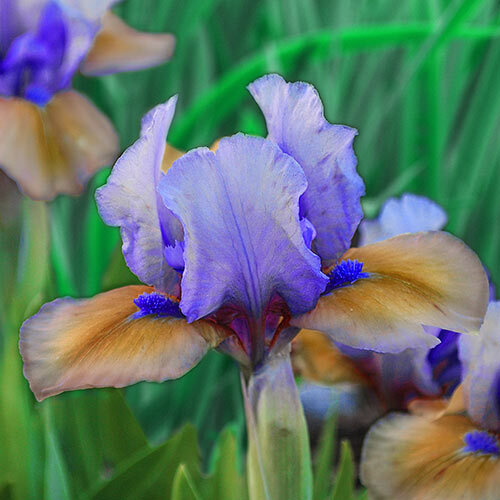 Blooms have a noticeable spicy fragrance. Multiple award winner. Grows 15" tall. Blueberry Tart: The delicious hues of its indigo standards and reddish-tan falls tinged in blue make this award-winning variety ideal for front borders, walkways, rockeries and pots. Reblooms late summer to early fall. Grows 11" tall. Trajectory: Winner of the prestigious John C. Wister Medal. Dark blue-purple standards and slightly darker blue-purple falls with white luminata patches. Beards are white, blooms smell spicy. Grows 10–12" tall. Cat's Eye: Compact clumps of rich rose-red blooms bear deep red centres on the falls. 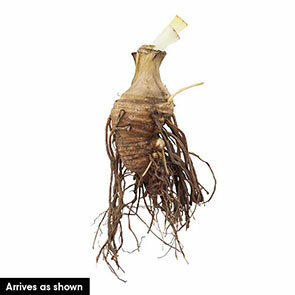 This multiple award winner will add exotic colour to pots, border fronts or sunny rockeries. Grows 15" tall. Flowering Time Mid to late spring and some varieties bloom again in late summer-early fall.